Trust the asphalt overlay professionals at ACT Asphalt Specialties to properly assess your situation and suggest the best solution. In some cases, if an area is simply overlaid with asphalt, a gap will be formed between the overlay and the existing surface. This gap allows the asphalt to move, or flex — causing existing cracks to reappear within only a few months to a year. 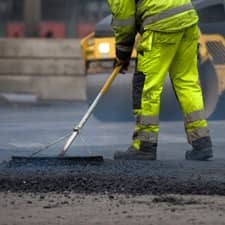 Our asphalt overlay contractors have the expertise to ensure that your overlay will be installed properly to maximize the life of the repaired area. For more information on asphalt overlays installed by the asphalt repair experts at ACT Asphalt Specialties, contact us today or call us directly at (651) 484-1696.